The official groundbreaking for the Trunk Highway (TH) 53 Bridge and Relocation Project occurred last week at the project site in Virginia, Minnesota. 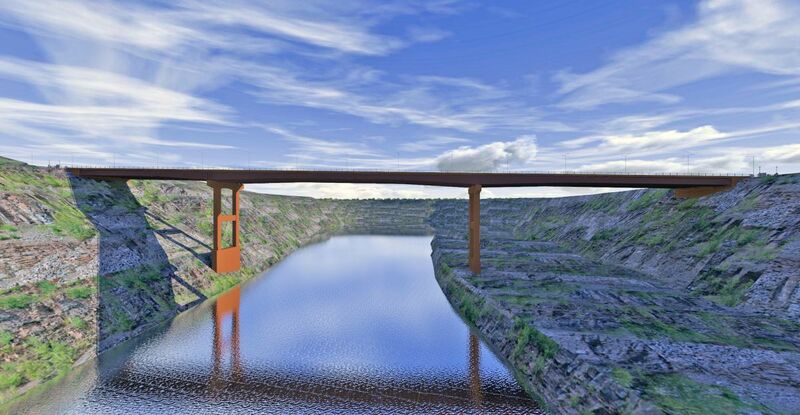 The bridge, which is the main element of the project, will span the Rouchleau Iron Ore Mine Pit. The project is scheduled to be completed in a brisk two years in order to allow for mining where a section of TH 53 is currently located. 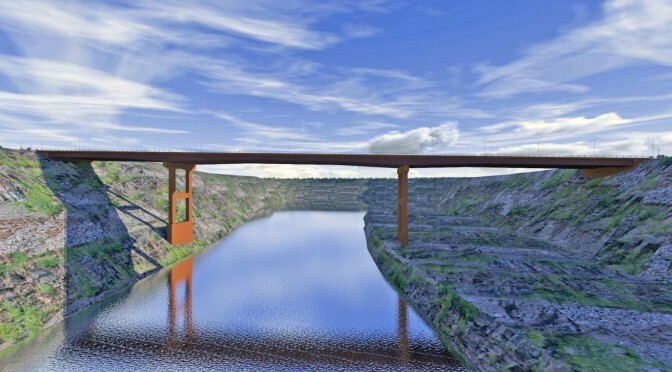 Upon completion the 1,100-foot long bridge will be Minnesota’s highest, with the roadway sitting approximately 330 feet above the bottom of the floor of the Rouchleau Pit. Kiewit was selected as the general contractor for the project with Veit Specialty Contracting as the foundation contractor. 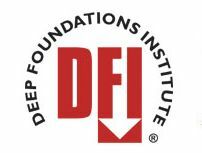 Foundation construction will start in late November or early December with the installation of 30-inch diameter micropile foundations for the western pier of the three span, steel plate girder bridge. Although the foundation work is just about to get started, DBA has been hard at work on the project for over a year. 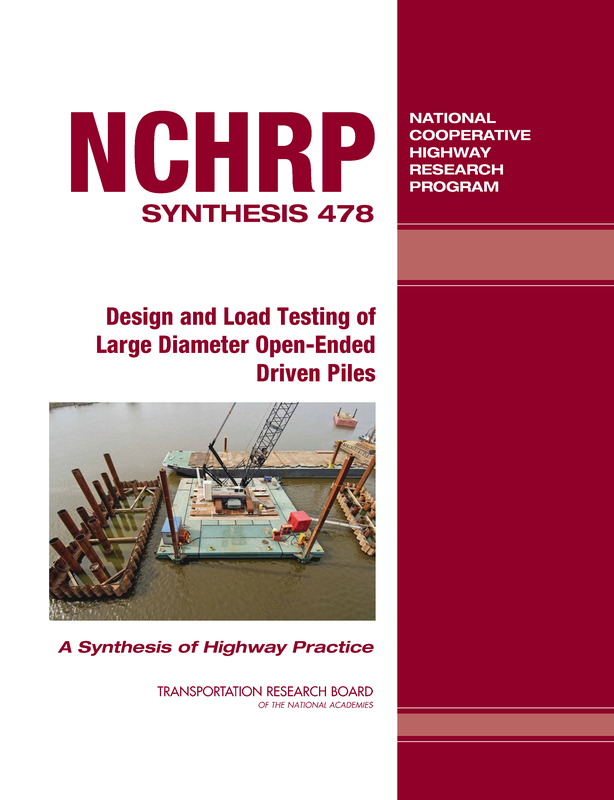 DBA first got involved as a consultant to MnDOT for the design-phase load test program conducted last fall. Since then, DBA was contracted as the geotechnical engineer of record for the project. 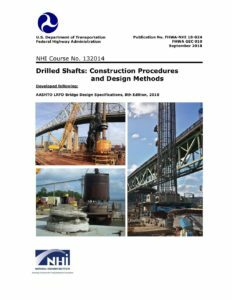 Working with bridge designer Parsons, DBA designed the bridge foundations, an anchored abutment, and rockfall hazard mitigation systems for this geologically challenging site. DBA has also analyzed several soil and rock slopes to verify stability of the bridge and roadway. 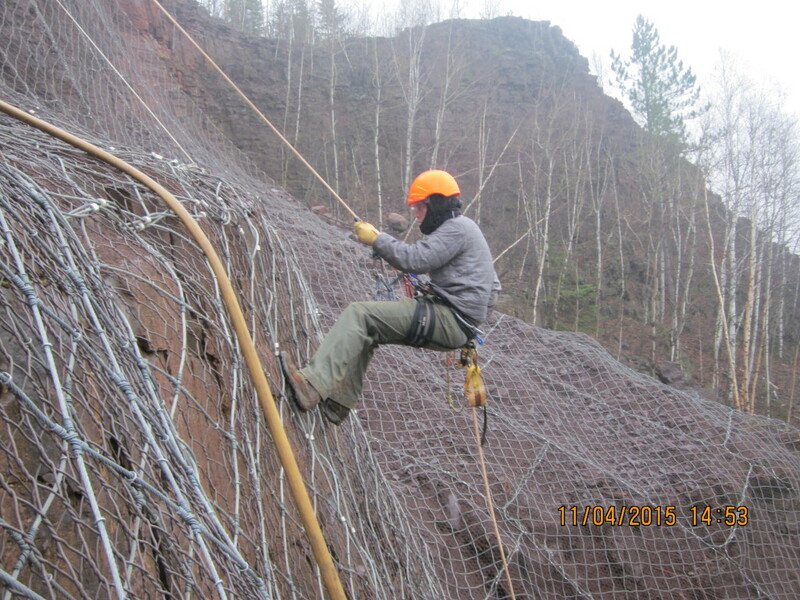 Most recently, some of us were on site to inspect some of the rockfall protection elements on the east side of the mine pit. Last week we spent two days climbing and repelling a on a portion of the eastern highwall, which is currently covered in rockfall protection drapery. 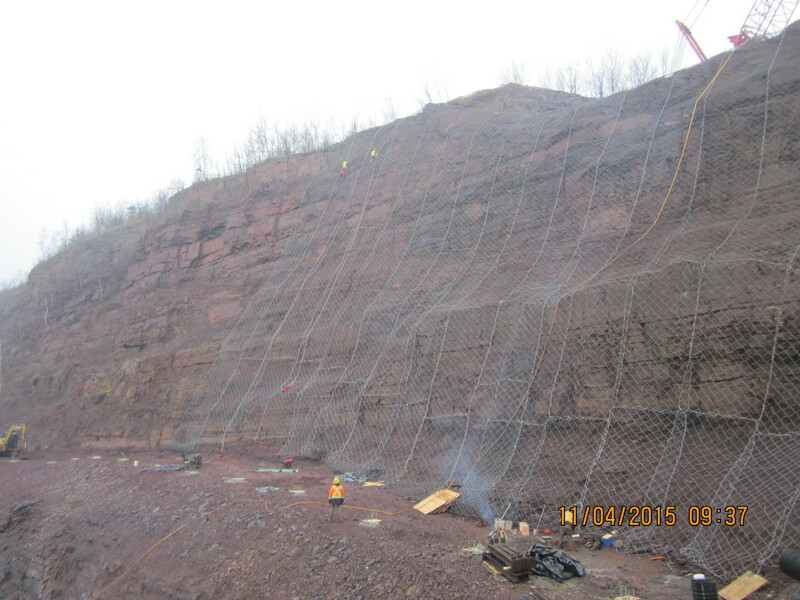 The drapery was installed for the protection of workers excavating rock for the eastern bridge pier. The drapery was installed by Pacific Blasting in association with Hoover Construction. Some pictures from our drapery inspection visit are below. 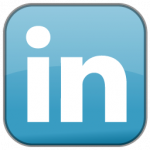 For more information about the project, click here, and for our previous blog posts on this project, click here. John and Paul provide some scale to this picture as they work their way down the drapery. John concentrating as he inspects the drapery seam as he decends.